Each year the College of Arts and Sciences will recognize two Distinguished Teaching Fellows and one Distinguished Teaching with Technology Fellow during the first A&S faculty meeting of the fall semester. As members of the Arts and Sciences Teaching Fellows Committee, the Fellows will form a teaching advisory board, serve as mentors for other faculty members, provide advice on the assessment of teaching, participate in new faculty orientation, and work with the College in other ways to improve its overall teaching mission. Learn more about the Distinguished Teaching Fellowship and nomination process. 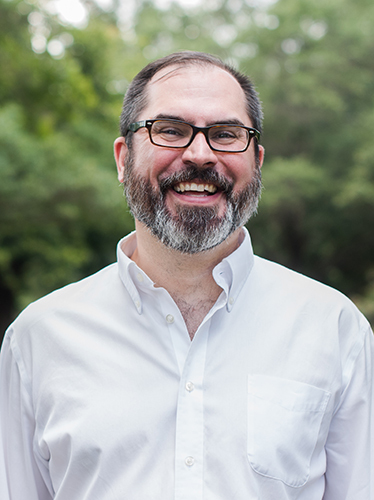 Michael J. Altman is an assistant professor in the Department of Religious Studies. His areas of research are American religious history, colonialism, theory and method in the study of religion, and Asian religions in American culture. Trained in the field of American religious cultures, he is interested in the ways religion is constructed through difference, conflict, and contact. Along with his research, Dr. Altman teaches a range of classes in the department from REL 130: Religion, Politics, and Law to REL 450: Religion and Power in Colonial India. 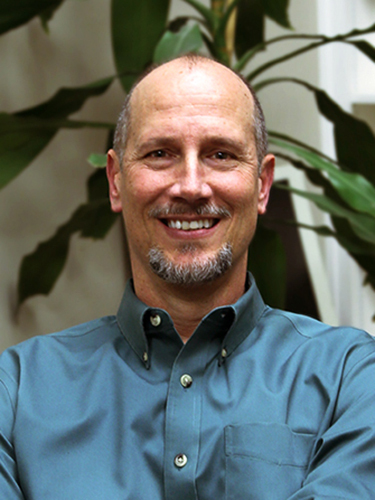 His courses are notable for their use of digital instructional methods and assessments. He is also the producer and host of the REL Department podcast, Study Religion and manages the various REL Department social media accounts. My teaching philosophy is to use the topic or content of every course as a means for teaching students critical thinking and communication skills. While every course has specific terms, ideas, history, or knowledge that students need to learn, the larger goal of my courses is not the consumption of this content but using that content to write, read, ask questions, and analyze. I approach my teaching with this emphasis on skills because I believe it prepares students for life after graduation, when they will need to be able to learn quickly, master new information, and communicate clearly. My emphasis on teaching skills means that I do not see working with technology in the classroom as an extra add-on on top of the “real work” in the classroom. Rather, as should be clear, keeping abreast of new social media and communication tools, and integrating them into courses alongside writing essays and reading books, is simply what I consider the work of a professor to be. Aiming for the critical and self-conscious use of technology and communicative tools—whether that is the alphabet or computer code— is the goal for all of my classes. 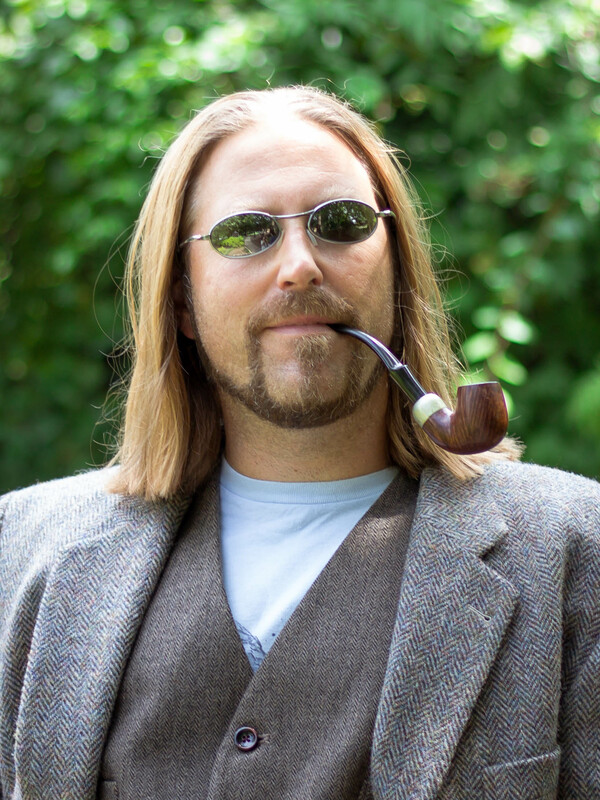 Bryan Koronkiewicz is and Assistant Professor of Spanish Linguistics. As the Spanish Language Program Director, he teaches a graduate teaching methods course every year. His other courses run the gamut from first-year language courses to graduate-level linguistics courses. His specific course topics center on bilingualism, including code-switching and language acquisition, as well as syntax. My approach to teaching directly mirrors my understanding of language—learning is doing. As such, I always try to enhance learning opportunities by taking concepts from class and making them concrete through creative, experiential activities. Many topics within the world of language and linguistics are not immediately tangible to students, so thespecific application of the concepts can be crucial. For example, within my teaching methods course, an activity I have implemented entails fully immersing students in an introduction to Basque (an isolate language from northern Spain). The specific goal of the activity is to have them learn basic vocabulary items such as colors and numbers, as well as basic sentence structure, allowing them to eventually create novel sentences entirely in the target language—a language they have never been exposed to before. The broader consequence of such an activity is to provide a solid understanding of what it means to experience communicative language teaching in action. The intangible concepts of implicit language learning are made real in front of their eyes. 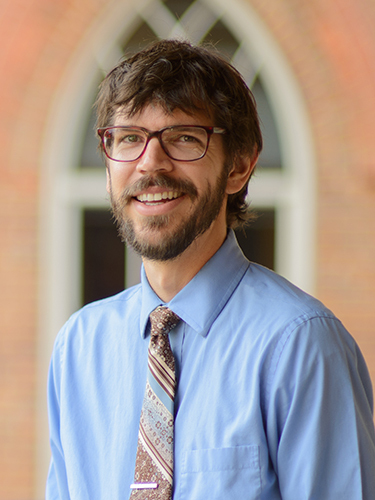 John Miller is assistant professor (NTRC) in UA’s New College Program, where students design Interdisciplinary Studies majors with assistance from faculty advisors. Miller’s research areas include Legal Studies and Interdisciplinary Education. He teaches courses on American Law, Creativity, and the Humanities in which he encourages students to leverage their own interests and experiences to gain subject matter mastery. What we do in the classroom affects the world into which students graduate. Increasingly I see accounts, like the recent article in Psychology Today, decrying a general decline in problem-solving skills, attributed by many to high-stakes testing. And on the more scholarly side, champions of Liberal Arts education like Martha Nussbaum warn against skills-based educations turning graduates into “useful profit-makers with obtuse imaginations” unable to critique authority. * Between these two narratives, I see the debt contemporary education owes pioneers of democratic, engaged teaching like John Dewey and Paulo Freire. As a consequence, I frame my duty to students not just as imparting the best information I can, but also as equipping those students to see how actively participating in their educations empowers them. *Nussbaum, Martha. “Political Soul-making and the Imminent Demise of Liberal Education.” Journal of Social Philosophy, Vol. 37.2, (2006): 301-313. Carol Duffy is an associate professor in the Department of Biological Sciences. She is a virologist whose research focuses on elucidating the molecular biology of herpesvirus replication as well as understanding the roles herpesviruses play in chronic illnesses. Duffy teaches courses in virology and molecular biology where she shares her passion for the intricate cellular mechanisms that underlie health and disease. I believe the first order of business in the classroom is to engage the students. Learning can depend as much on the attitudes of the students as on the performance of the teacher. Therefore, it is important to get students actively involved in their own learning and get them to give their best learning effort. To engage students I intersperse humor, storytelling, query, and active and collaborative learning activities throughout my lectures. I believe the next order of business in teaching is to convey the fundamental content of the course in a way that mentally reaches the maximum number of students. Different students learn in different ways. Using a variety of teaching methods allows me to reach many of the different learning styles at the same time. Finally, I believe the most rewarding order of business in teaching is to help students develop higher order thinking skills and become creative, analytical, actively intelligent people. My teaching philosophy is founded in my belief that helping students develop higher-order thinking skills isn’t just the most rewarding part of my job, it is the most important part of my job. I work hard to design group and individual assignments that not only ensure my students understand the material covered, but push them to integrate the smaller pieces of the puzzle into a larger, comprehensive picture and then use those integrative skills for critical evaluation and problem-solving. 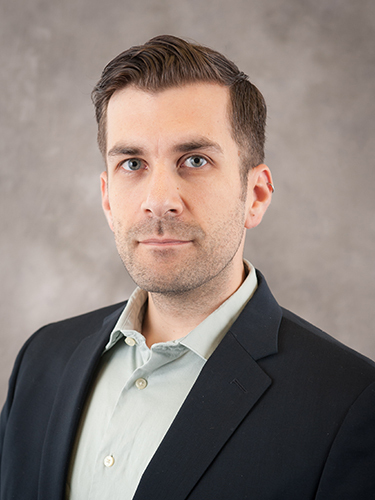 Erik Peterson is an assistant professor in the Department of History. He teaches a broad range of courses, including History of Science, Epidemics! A History of Medicine, A Global History of Gaming, and The Darwinian Revolution. His research focuses on the transatlantic history of science, eugenics and social Darwinism, the scientific concept of race, science and popular culture, and biology education. Two young fish — undergraduates — were on their way to class one morning when an old professor swam by in the other direction. “How’s the water, boys?” the professor fish asked. “Fine, Dr. Mackerel,” they said, smiling politely at the professor as they continued. Once they were safely out of earshot, one turned to the other, troubled, “Uh, dude, what’s water…?” [based on a joke told by David Foster Wallace in 2005] Our students are swimming in a medium that, by and large, they do not recognize. For a fish, water is as banal as it is vital. As I see it, a good portion of my job—that is, if “Ph.D.” still stands for a teacher who is a friend of wisdom—is to help them actually consider that basic, unquestioned, ba A disturbingly large portion of what we all take for granted turns out to be off somehow—stories about things that never happened, stories that make us feel like we are something that we are not. And those myths that we collectively tell ourselves, stories about famous people in the past, for instance, ripple out to homes and voting booths and statehouses, to policy decisions that impact people in the present and future. The past isn’t past because the past is also us. So as a historian, teaching is the way to unmask what is hidden in plain sight. It is the wonderful and terrible task that we at the university have to profess: “This is water… this is water.” And if we don’t point it out, no one else will. 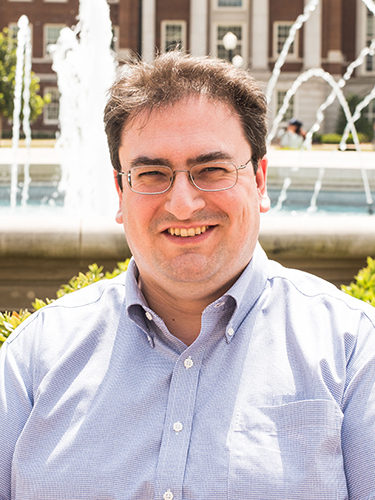 Marco Bonizzoni is an associate professor in the Department of Chemistry. His research interests straddle the classical field of organic and analytical chemistry and are focused on the study and use of non-covalent interactions, the weak forces responsible for a number of macroscopic phenomena such as protein folding and molecular recognition. At the undergraduate level, he generally teaches large-enrollment lecture and laboratory courses in organic chemistry. Teaching is a marvelous privilege to me. However, I am also aware of the important responsibilities I have towards both my students and the subject that I am teaching. I owe my students respect, planning, preparation, and delivery, as well as my time and attention to address their questions and problems in and out of the classroom. I am also aware of the responsibility towards the subject being taught; to present it rigorously, yet to make it clear and comprehensible and, perhaps most importantly, to highlight its relevance to everyday life. The latter aspect is very important to me in teaching chemistry, particularly at the introductory level, and to students that, for the most part, will not be chemists by profession. I hope to contribute positively to providing for the students’ general education in science, in order for them to become knowledgeable and successful members of society as they leave our campus. My goal as an instructor is to strike a balance between communicating enthusiasm for the subject being taught and laying a foundation of knowledge for the students to build upon. Establishing a rapport with my students is critical to this goal, but it is also challenging in the large classes I usually teach. I have been learning to use technology to my advantage, to reach my students more effectively. Lecture delivery, capture, and dissemination of lecture notes, the use of online electronic homework, and effective use of a learning management system, all have contributed to improving student learning. 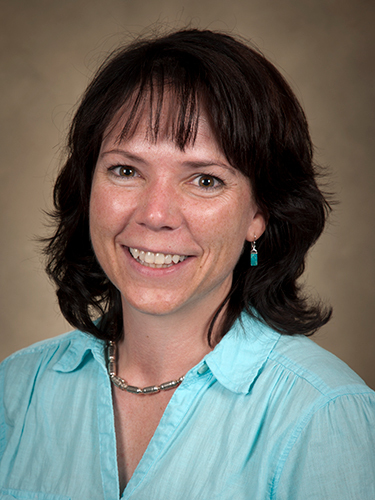 Lauren Cardon became an assistant professor (NTRC) in UA’s Department of English in 2013. Her research focuses on American literature and cultural studies, and she teaches courses in writing and American literature. In my classes, I use technology as a tool to ensure students have a public audience for their work and to help them visualize how their work can have relevance outside the classroom. I accomplish these goals by integrating social media into my course design, by creating technological tools to aid students in studying and overall comprehension, and by collaborating with the ADHC to design discipline-specific Digital Humanities projects. Most recently, my Advanced Studies in Writing students and I created the Crimson Fried blog as a platform for their writing and a way to reach out to community members. Our networking efforts through our website aided in our securing media coverage and forging relationships with campus and community organizations. As a professional who recognizes the importance of networking, I implement experiential learning activities that encourage students to expand their own networks, to cultivate a community and online presence that will benefit them when they enter the job market. 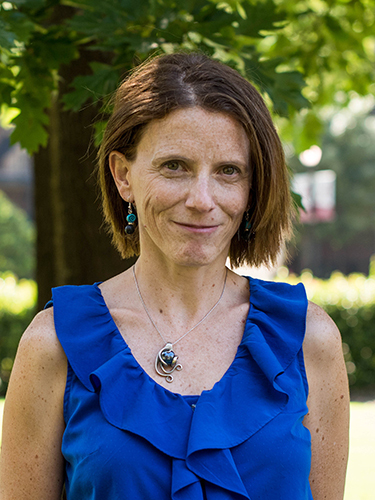 Ana Corbalán is an associate professor of Spanish. 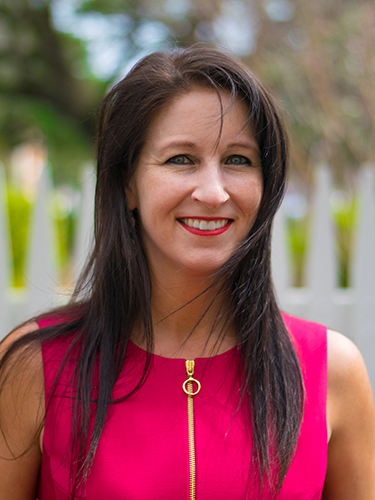 In the classroom, she conveys her passion for teaching Spanish language, literature, and culture to her students, and they, in turn, develop a greater appreciation for learning. As an experienced teacher, I know how important it is to foster students’ motivation. To meet that interest I myself try to excel at creativity. My personal style of teaching brings enthusiasm, passion, culture, and technology into the classroom. I strive to create a relaxed learning setting in which all voices and opinions are equally important. I strongly believe that the learning of a foreign language demands a classroom atmosphere in which students feel comfortable enough to participate actively. I have worked to ensure that my classroom is always shaped by the fundamental goals of the learner-centered approach. I have found that cooperative-learning activities in class, where students work in pairs or small groups, foster wide-based student participation. Of great importance to me is the encouragement in my students of greater critical thinking skills. I have had much success in guiding students through reading critiques and fostering their developing understanding not only of Spanish but also of critical arguments and logical analysis. My teaching style and techniques are evolving daily as I learn through professional development, by studying my peers, and most importantly by listening to my students. During my ten years at UA, I have never repeated the content of my graduate seminars. This is an example of how I strive to make the classroom a learning space for my students as well as myself. To me, a large part of teaching is figuring out how people learn. I am passionate about teaching because I am a constant learner myself. Jeff Melton is an associate professor of American studies. He teaches a range of courses related to his two broad research areas: humor and travel. He structures each segment of a course around content presentation, individual engagement, and collaborative thinking. For content presentation, my task is to define, evaluate, and organize material for students. Concise lectures balanced by class discussion form the basic interaction. These discussions respond to reading assignments, introduce related subject matter, and establish theoretical frameworks. For individual engagement, my task is to ensure that students engage actively by participating in the synchronous discussions during lecture and also by writing analytical responses, either in-class as daily work or within online discussions. For collaborative thinking, my task is to encourage students to work with each other to synthesize material and assert connections among their individual efforts by answering questions together in class, by working together to assess course content, and by responding to online discussion posts from peers. The three levels of coursework are complementary, in that they force repetition and confirmation of ideas. Each encounter provides an opportunity for them to increase their understanding of complexity and interrelatedness among the varied forms of course material.